I had a dream the other night that I was talking on the phone with my mom. We were having an everyday conversation about nothing in particular. When my alarm went off in the middle of the dream, I hit the snooze button, squeezed my eyes shut, and tried to get it back with everything I could muster. This was the first dream I had about her since she died two years and four months ago. That dream, while it was wonderful and comforting, made me very sad. It stirred up all the stuff that I’ve worked hard to pack away, all the sadness and grief and longing and the missing her that hurts so much I could cry. I do cry. Not as much now as I used to, but I still do cry sometimes. Even now, thinking about that dream, about her, about what we’re all missing, brings big fat tears to my eyes. I miss her so very much. I miss the phone calls and the lunches and the shopping trips. I miss walking to her house with the kids, and I miss sitting in her garden watching them play. 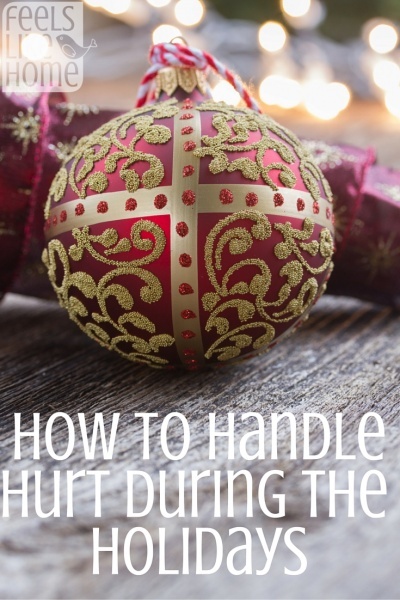 Hop over to Feels Like Home to read my suggestions for dealing with grief and other hard times during the holiday season. This entry was posted in Blog and tagged Christmas, Feels Like Home, grieving, holidays, Jesus Calling, Jesus Calling for Kids, Jesus Calling for Little Ones, Sarah Young, Tara Ziegmont, Thanksgiving by Tara Ziegmont. Bookmark the permalink.